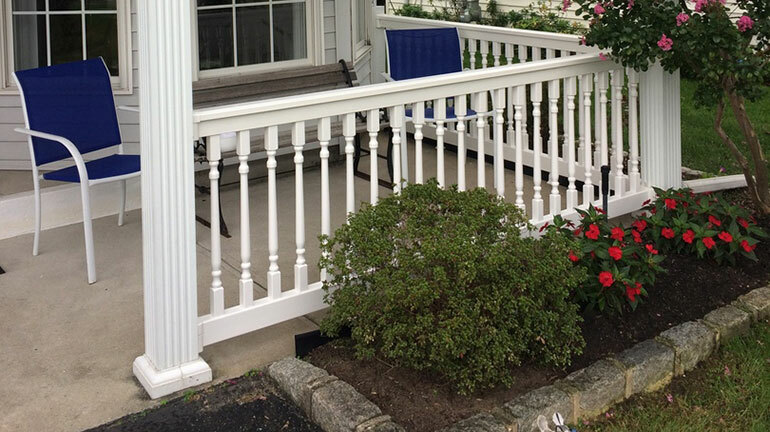 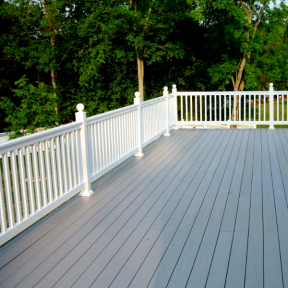 Durables manufactures nine popular styles of sleek and sturdy vinyl railing. 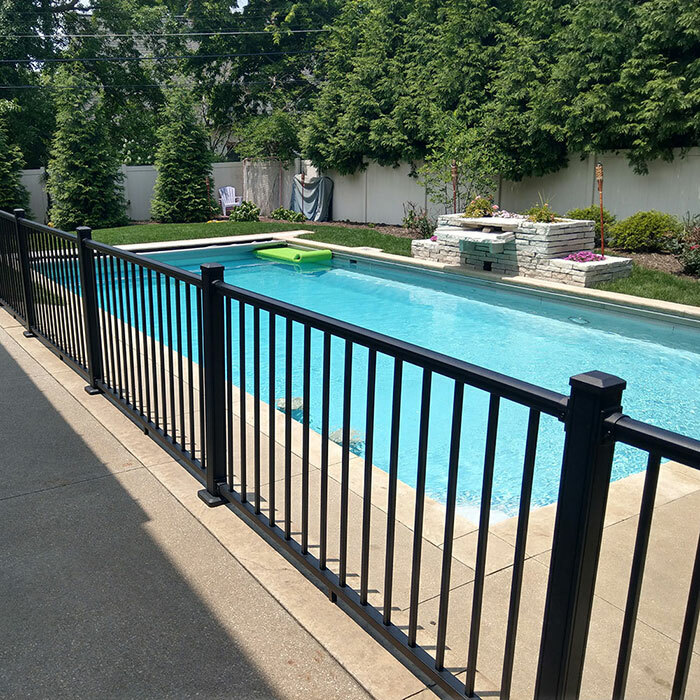 With a wide variety of infill styles, three classic colors and even some commercially-compatible rail kits (see individual product pages for details), Durables is sure to offer the right product for your project. 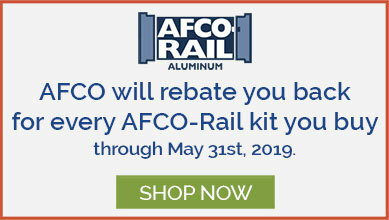 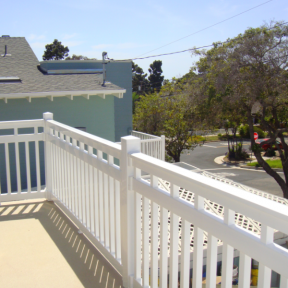 See below for more information, photos, and to shop Durables Vinyl Railing Systems. 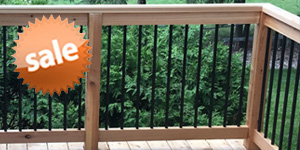 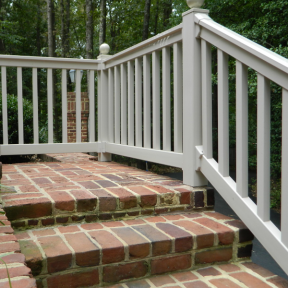 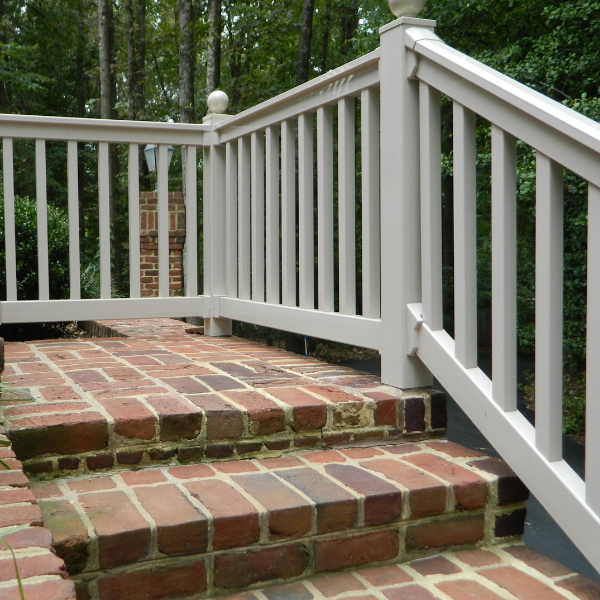 Durables Sterling Aluminum Railing is available in kits that include everything needed for standard applications. 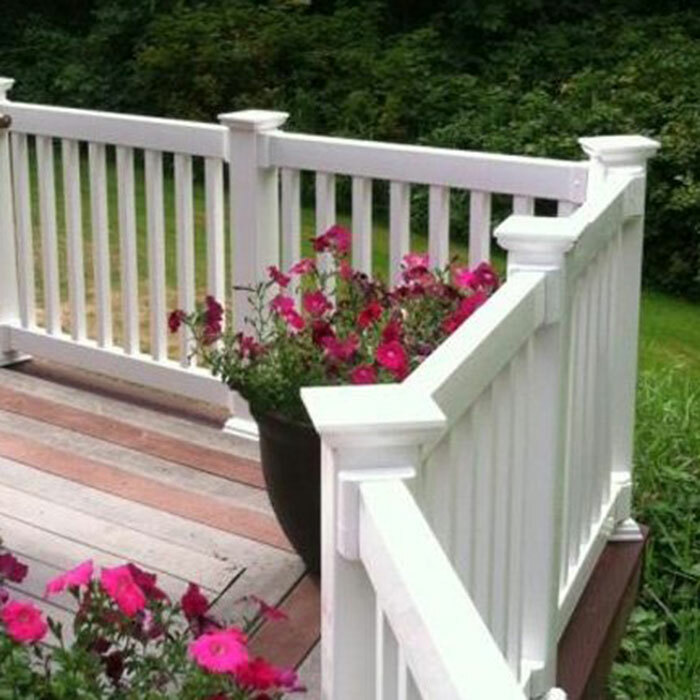 Posts feature groves making them self-leveling and centering. 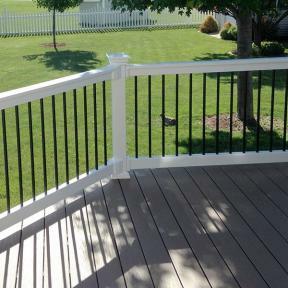 Durables Vinyl Railing System The Kirklees Level Rail. 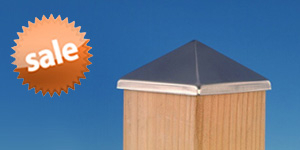 Features Durables New England Post Cap. 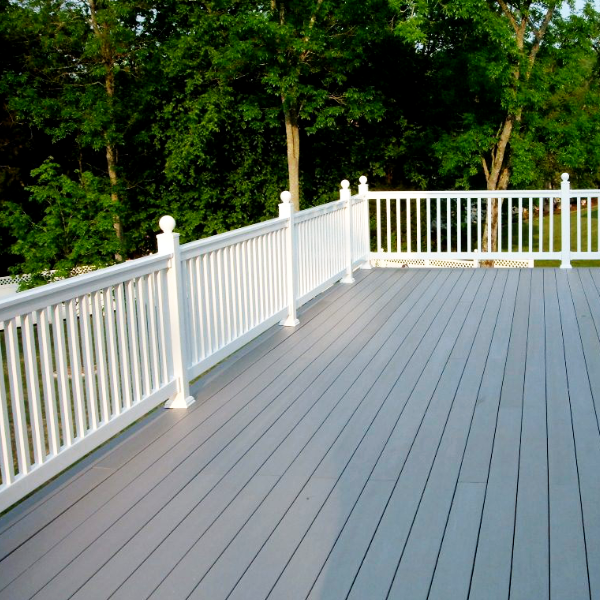 Harrington Vinyl Rail Kit by Durables.